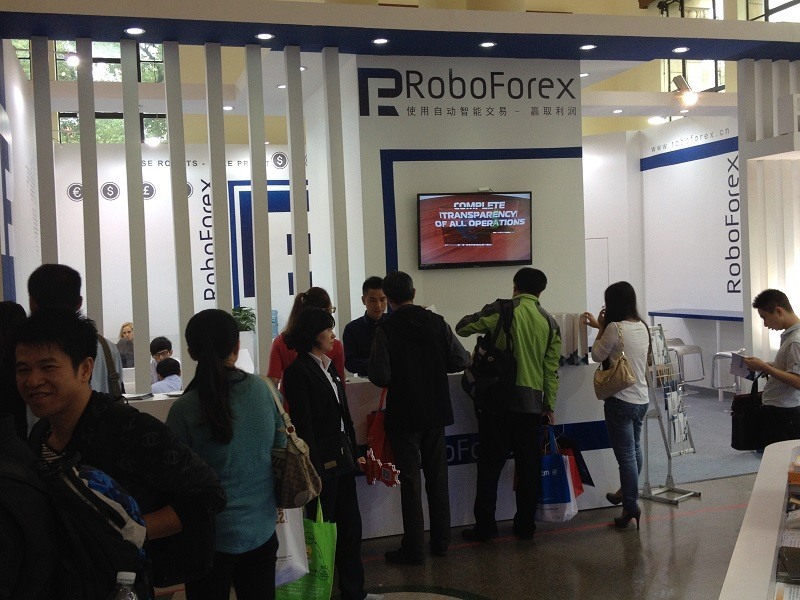 From October 31st to November 2nd, 2014, Shanghai (China) hosted "Money Fair 2014", the international financial exhibition. This year, the forum was attended by the record number of visitors – over three days of the exhibition, "Shanghai Exhibition Center", where the event took place, was visited by about 160,000 people. "Money Fair" is rightly considered to be one of the largest and most influential events in financial field in Asia. This year, more than 200 companies from different countries took part and presented their popular projects and latest developments to the visitors of the exhibition. More than 40 experts of international level held their lectures, seminars, and meetings, where they discussed modern trends in the field of economics and finance. 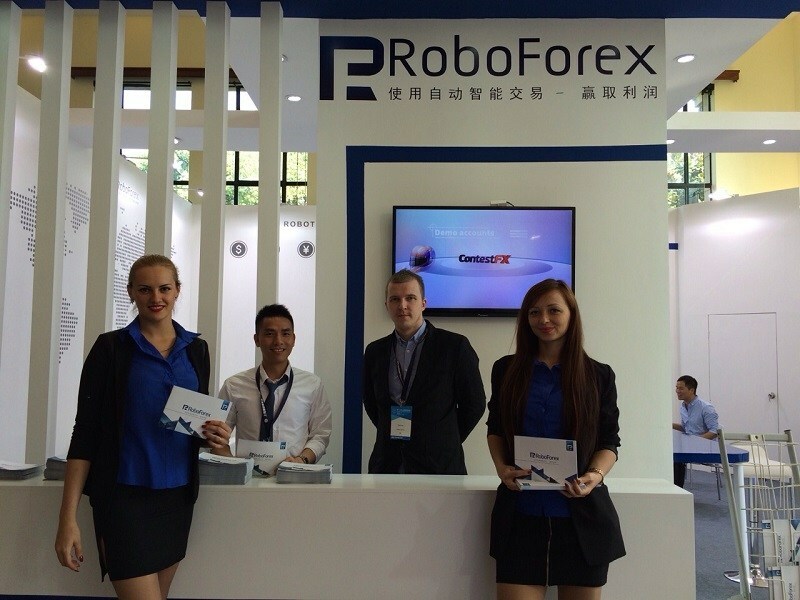 RoboForex participated in the exhibition for the second time: the Company’s specialists introduced to the visitors our fast developing projects, such as CopyFX, RoboOption, ContestFX, as well as other services. Many of our clients came to the exhibition intentionally in order to visit the Company’s stand and express their gratitude for the quality of our services. The visitors gave us many valuable and interesting ideas how the Company may develop in Asia region and improve the quality of existing services. 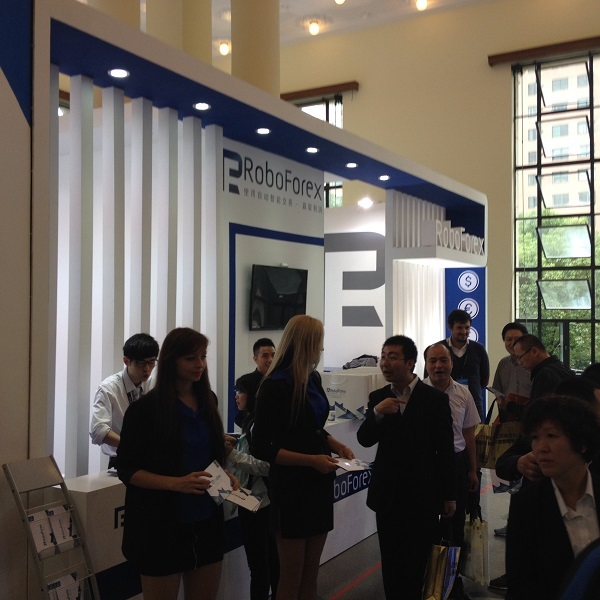 More information about the event and a photo report can be found on "«Money Fair 2014» exhibition" page of our website. Shanghai International Money Fair (Money Fair) was first launched in 2003 and since then has become the largest personal and corporate ﬁnance service expo in China. After 11 years' successful exhibition, it has won great reputation from the ﬁnance industry and visitors, being praised as "The most influenced money show in China" and "The ﬁnance ﬂag for Shanghai".